Again… nothing new here. 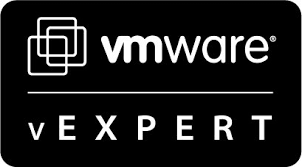 If you’re a seasoned pro then you’re already aware of the excellent work the boys and girls do down at VMware Labs with regards to the Flings. But if you’re not, due to workloads being crazy or because you’re studying like a man possessed, then this might be of interest. Recently I migrated my main machine back to Mac from Windows. Redmond’s Finest had served me well since I laid my PowerMac G5 down to rest back in 2006. But through the ups and downs of using Windows (Vista, then 7, then 8.x, then 10), I yearned for the return to a Unix-based operating system. Whilst my production servers run on NetBSD (on some very antiquated but yet stable hardware), I found *nix-based desktop platforms lack in certain areas. My biggest bugbears being an unwillingness to play nice with things like iPhones and decent photo-management software like Adobe Lightroom. There is. Darwin. Hence why I ended up back on the Mac platform. However, there was one app that I was sure would be a dealbreaker… the vSphere Client. As I’m sure most of you are aware, the vSphere Client on Windows (also known as the C# client) is exactly that… only for Windows. This has narked Linux and Mac admins for a while. Why do I need a Windows box just to administer my virtualization estate? Yes, there is always the vCenter Web Client… and what a great technology it is. It serves many an enterprise well day in, day out. But what if you’re a techie with a home lab who needs to administer ESXi without having to implement a vCenter just to do it? Enter the ESXi Embedded Host Client. The Embedded Host Client is a HTML/JS webapp that installs directly onto the ESXi host. It is a feature-rich, powerful vSphere API client that’s just as ready for the prime time as it is the home lab under your stairs. It is the last talent that has saved me as I migrated back to OS X. Each VM you administer has a console link, which enables you to either launch the console or download it from VMware. And yes, they do a Mac version (7.1 is the current version at the time of writing). The console is lightweight and super-responsive. I run it at 2560×1600 on my 30″ Dell monitor and have no issues at all. It also comes with a handy amount of key combinations, so if you like F11 lowering your volume on the Mac platform, but find it a pain installing ESXi, then it solves it for you. Don’t forget the trailing slash! The engineering team at VMware put a lot of effort into developing this fling (currently v3.0), so make sure you try it out and let them know what you think. I for one think this has saved my bacon, and has re-affirmed VMware’s commitment to being platform agnostic as we move forward to the hybrid cloud.